Banks and their greed | Stop the US Madness: it's time to take action! It’s being reported by infowars.com that there may be a new round of bank bail out’s in the works under the guise of QE3. While Ben Bernanke’s announcement that the Federal Reserve will embark on an open ended scheme to purchase $40 billion in mortgage-backed securities each month has been touted by the establishment media as the beginning of “QE3″ it is in fact nothing less than another banker bailout in disguise. While many have rightly attacked the Fed’s policy of printing money as a band aid that does little to solve the economy in the long term, this new move isn’t even about that. The policy announced yesterday will merely see the Fed use taxpayer money to purchase more bad debt in the form of junk mortgage-backed derivative based securities that have been sold over and over again. This has nothing to do with getting the economy going again and will only serve as yet another huge wealth transfer from the middle class to the elite. In light of this information I decided to go see which banks that previously received a bailout have actually paid back what they received. You can view a full list HERE but we’ll cover some of the banks here as well. This is just a small portion of the banks that are in default right now…. If an American owes back taxes you better bet the IRS will be seizing anything and everything they own in order to recoup that money but what’s been the penalty for these banks? Our incredibly thoughtful government never bothered to stipulate ANY penalties therefore there are NONE! They can just keep right on doing business, paying their CEO’s billions in bonuses and thumb the American public that had their money stolen in order to ensure the rich would continue their wild spending. Absolutely disgusting!
" junk mortgage-backed derivative based securities"
I just came across this article and I could not believe my eyes. People that have life threatening/debilitating illnesses and injuries, the unemployed and the mentally ill are being put in DEBTOR’S PRISON for not being able to pay. The big banks can’t pay and they get a loan from the tax payers…. This simply makes no sense! The federal government can’t pay up so why the hell aren’t all of our representatives being thrown in jail?? Under the law, debtors aren’t arrested for nonpayment, but rather for failing to respond to court hearings, pay legal fines, or otherwise showing “contempt of court” in connection with a creditor lawsuit. That loophole has lawmakers in the Illinois House of Representatives concerned enough to pass a bill in March that would make it illegal to send residents of the state to jail if they can’t pay a debt. The measure awaits action in the senate. Debt collectors typically avoid filing suit against debtors, a representative with the Illinois Collectors Association tells the AP. “A consumer that has been arrested or jailed can’t pay a debt. We want to work with consumers to resolve issues,” he said. Yet Illinois isn’t the only state where residents get locked up for owing money. A 2010 report by the American Civil Liberties Union that focused on only five states — Georgia, Louisiana, Michigan, Ohio, and Washington — found that people were being jailed at “increasingly alarming rates” over legal debts. Cases ranged from a woman who was arrested four separate times for failing to pay $251 in fines and court costs related to a fourth-degree misdemeanor conviction, to a mentally ill juvenile jailed by a judge over a previous conviction for stealing school supplies. Such practices, heightened in recent years by the effects of the recession, amount to criminalizing poverty, say critics in urging federal authorities to intervene. “More people are unemployed, more people are struggling financially, and more creditors are trying to get their debt paid,” Madigan told the AP. "being poor is a crime"
"New York University's Brennan Center for Justice"
"The Return of Debtors' Prisons"
Bank of America In Trouble? Bank of America is at it again. Last week they announced there would be “new checking account fee’s” and the internet uproar began again. It would seem that Bank of America is looking to nickle and dime their customers right out the door but is this the telltale sign of their financial woes? 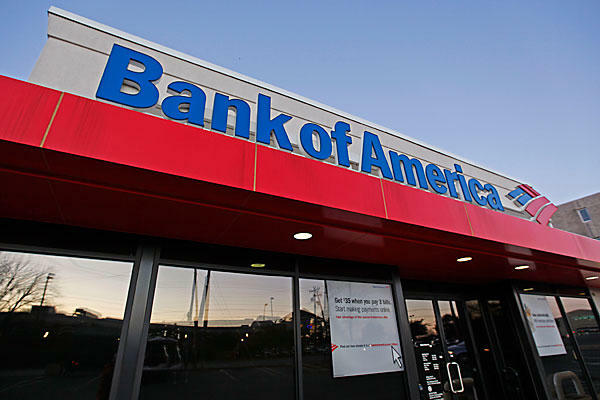 It looks like Bank of America might have started circling the drain before the Occupy movement even had a chance to launch its campaign against the company. For weeks now there have been ominous signs of trouble at the bank, and yesterday we heard yet another dark piece of news. Last year, there was an uproar when Bank of America announced a plan to slap customers with a monthly $5 fee for debit card usage. The bank eventually backed off that plan when the public and some politicians cried foul. Pilot programs in Arizona, Georgia and Massachusetts are experimenting with charging $6 to $9 a month for what’s called an “Essentials” account. Other account options being tested in those states carry monthly charges of $9, $12, $15 and $25, but give customers opportunities to avoid the payments by maintaining minimum balances, using a credit card or taking a mortgage with Bank of America, according to an internal memo cited by the [Wall Street] Journal. Here’s The Daily Ticker’s Aaron Task and Breakout’s Jeff Macke discussing the “new” Bank of America fees. "Bank of Americ debit card fee's"
"Bank of America In Trouble"
"Bank of America nickle and dime"
"Bank of America too big to fail"
The argument to not raise taxes for big businesses and corporations is now null and void. Big business needs to pay their fare share and the loopholes they have been using to get out of paying their portion need to disappear! Indicative that something is amiss with the corporate income tax system, General Electric over the last 10 years paid only 2.3% tax on more than $81 billion in profits, according to the advocacy group Citizens for Tax Justice. It was revealed last year that GE paid no federal income taxes in 2010. In fact, it received $3 billion in net tax benefits for that year. GE officials insisted the company didn’t owe anything for 2010, but added that for 2011, things would return to “normal” come tax time. But what’s normal for GE is different from what’s normal for most Americans. Citizens for Tax Justice claims the corporation’s “effective federal income tax rate” was only 11.3%, less than a third of the official 35% corporate tax rate. Citizens for Tax Justice studied 280 major corporations and discovered that, for the years 2008-2010, the average effective tax rate was 18.5% rather than the 35% that big businesses and their Congressional supporters have been complaining about. Twenty-nine of the companies actually had a negative tax rate over the three-year period. This was most often the case with companies in the energy industry, such as Pepco, PG&E, NiSource, CenterPoint Energy, Atmos Energy, Integrys Energy and American Electric Power. Wells Fargo, Verizon, Boeing and DuPont also had negative tax bills. "Corporate Tax Rate Too High? Not for GE…2.3% over 10 Years"
"corporations have negative tax rate"
"GE paid no federal income taxes in 2010"
"GE pays little in taxes"
We keep printing more and more money which keeps the value of the dollar going down with each passing day. We pay our taxes but the government keeps increasing its spending so we pay more and more each year. Keep making more agencies to “protect us” from ourselves you morons. Ronald Reagan once famously declared thatinflation is a tax, but sadly most Americans did not really grasp what he was talking about. If the American people truly understood what inflation was doing to them, they would be screaming bloody murder about monetary policy. Inflation is an especially insidious tax because it is not just a tax on your income for one year. It is a continual tax on every single dollar that you own. As your money sits in the bank, it is constantly losing value. Over time, the effects of inflation can be absolutely devastating. For example, if you put 100 dollars in the bank in 1970, those same dollars today would only have about 17 percent of the purchasing power that they did back then. In essence, you were hit by an 83 percent “inflation tax” and all you did was leave your money in the bank. So who is responsible for this? Well, the Federal Reserve controls monetary policy in the United States, and the inflationary monetary policy that the Fed has gotten all of us accustomed to is taxing the living daylights out of us. This is madness, and it needs to stop. In previous articles I have discussed how the Federal Reserve creates money. If you have not read those articles yet, you can find a few of them here, hereand here. Thankfully, there are others out there that keep track of these statistics as well. According to John Williams of shadowstats.com, if inflation was measured the same way that it was back in 1980, the annual rate of inflation would bemore than 10 percent right now. "Inflation Is A Tax And The Federal Reserve Is Taxing The Living Daylights Out Of Us"
i have to wonder if there are many states considering their own currency as well; currency that would be, once again, backed by gold. It’s a breath of fresh air to see states taking some responsibility and showing the fed’s that their greedy banks are the only option. 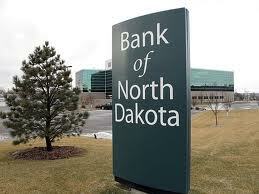 Taking a cue from North Dakota, a large number of state governments are considering the establishment of a state bank. In the wake of the financial and mortgage crises, proponents are pushing for states to rely less on large national private banks and establish state-run financial institutions. North Dakota serves as the model for this new experiment that 17 states are looking at. However, the state bank in North Dakota, the only one of its kind in the U.S., is not new, having been in operation since 1919. With the Bank of North Dakota, financing is made available to support loans to students, farmers and others, while the bank’s profits go into the state budget to help provide more revenue for government programs. Some states, such as Idaho and Vermont, have introduced legislation to study the idea of starting a state bank. Other states, like New Hampshire, Virginia, Hawaii, Washington and California, are debating bills that would create a state bank. "17 States Considering State Banks"
"big banks not the only option"
This is absolutely disgusting. I am hoping the name of this “banker” will come out. It’s been found that this was a HOAX. Apparently the “receipt” that was originally posted was Photoshop edited. 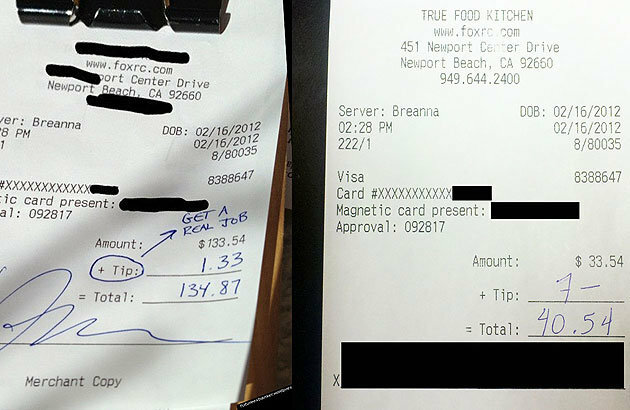 Yesterday we reported a story about a banker who allegedly left a $1.33 tip on a $133 lunch bill at True Food Kitchen in Newport Beach, California. In addition, he added a ‘tip’ to “get a real job.” It was meant to be a dig from the 1% to the 99%, and the story, as well as the image, were shared all over the Web. 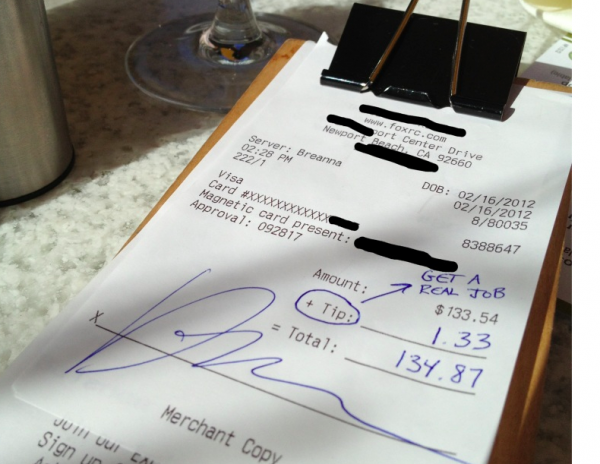 We posted it on our show and received thousands of comments about the insulting remark written on the receipt. After contacting the restaurant, its spokesperson Jami Reagan told us the receipt was Photoshopped, and they have the original receipt to prove it. Trending Now has received the original copy of the receipt, and we can confirm that it was in fact digitally altered. Reagan said the reason that the issue was not corrected quicker is because the corporate offices were closed over the weekend. The original receipt does not contain the tip “Get a real job.” Also, the real bill was for $33.54, not $133.54, and the tip given was $7, not $1.33. The blog that originally posted the receipt, Future Ex-Banker, was taken down Friday as well. True Food Kitchen also says that the receipt was not altered by anyone on their staff, adding that they would never post any guest’s personal information. "Big Banker Leaves Waitress A 1% Tip"